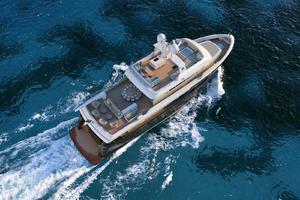 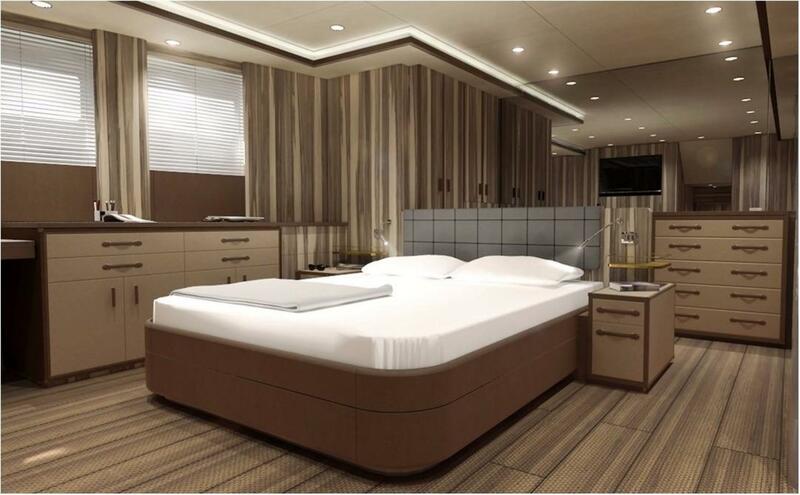 Each Cantiere delle Marche yacht is custom built for the individual client and has a personality of its own. 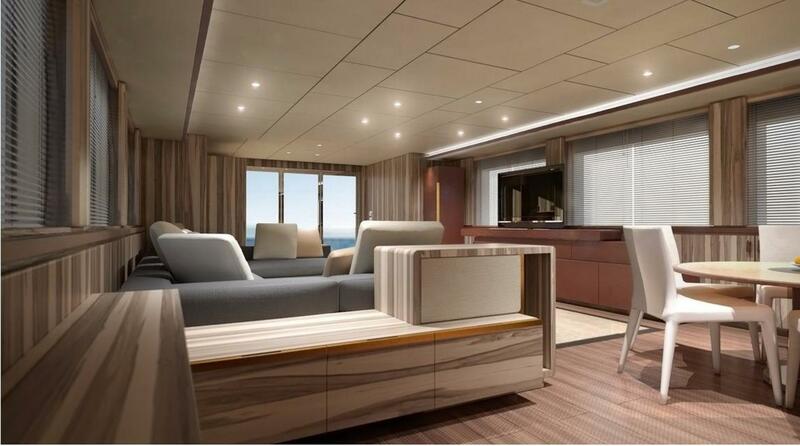 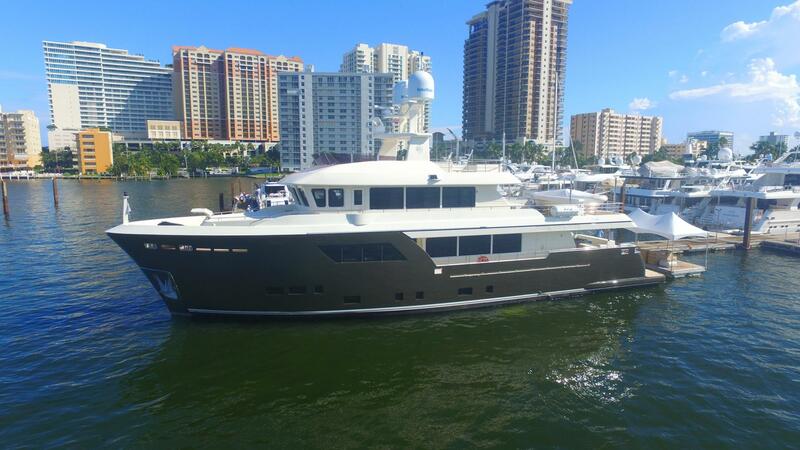 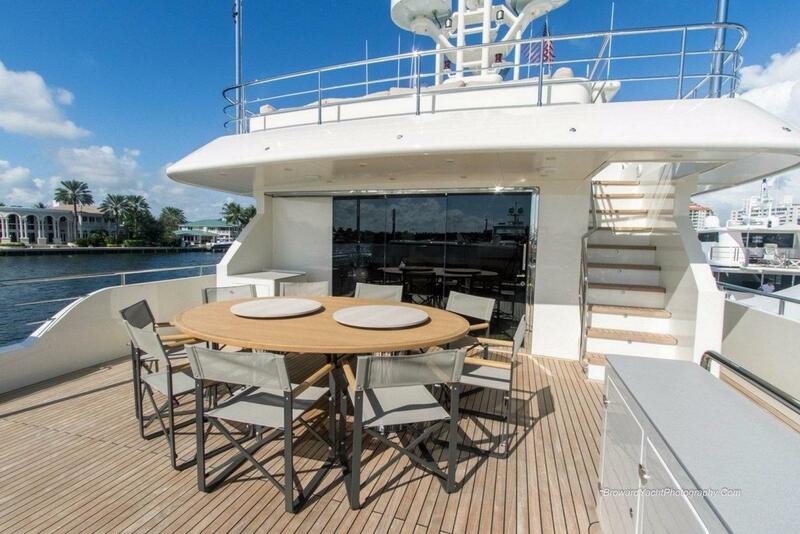 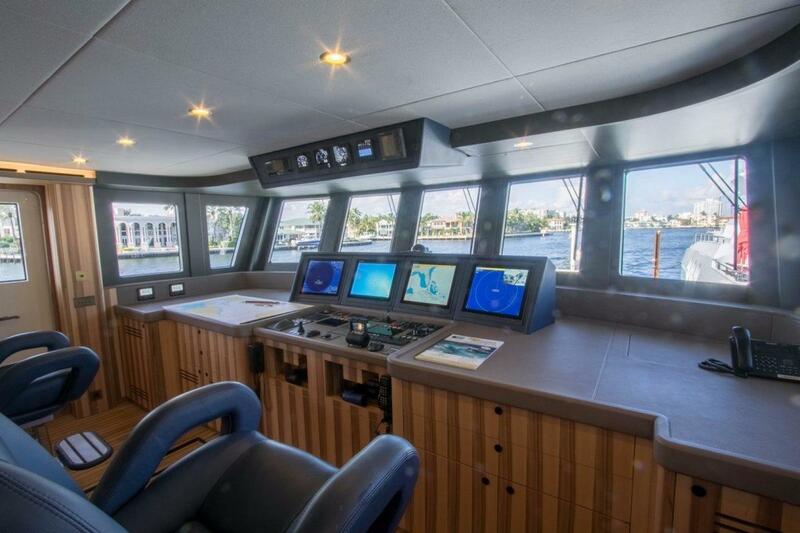 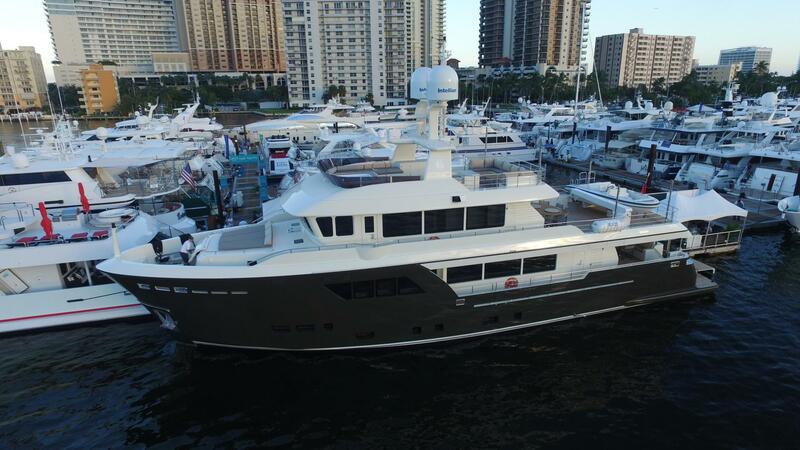 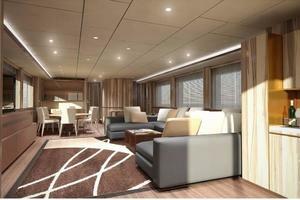 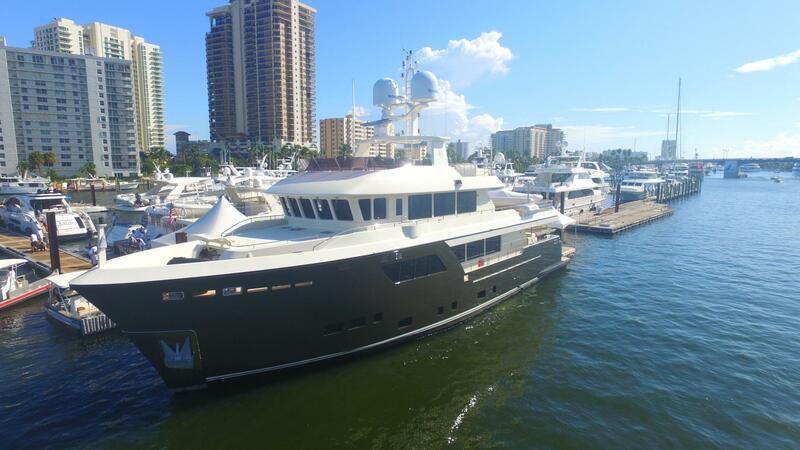 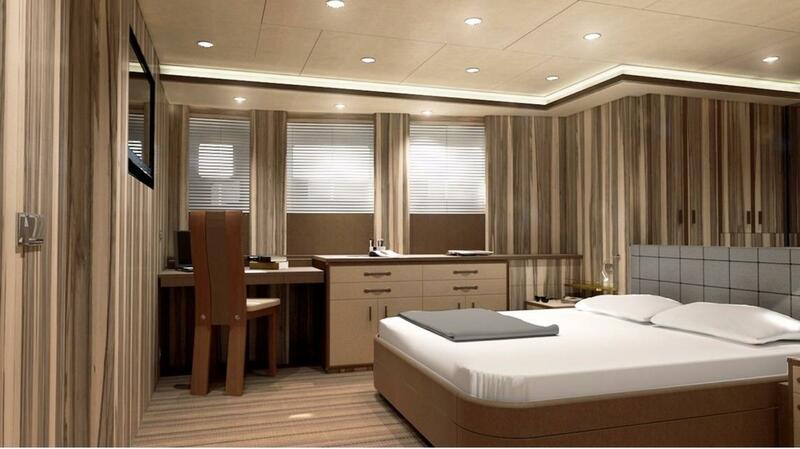 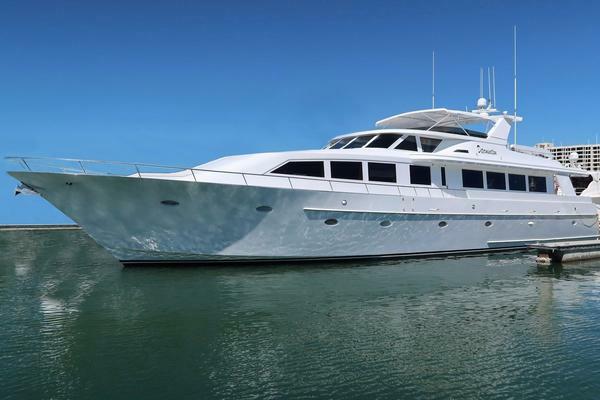 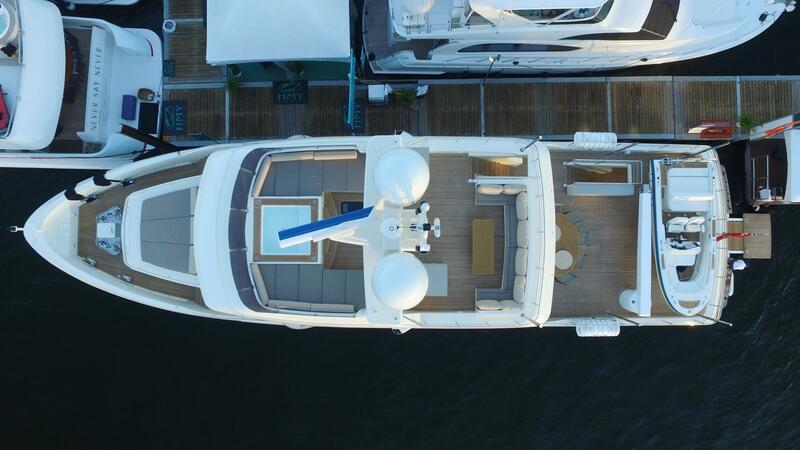 Whether it is the custom color of the hull & superstructure, layout of the sundeck, interior decor, or the general arrangement floor plan - every detail is customized for that specific buyer. 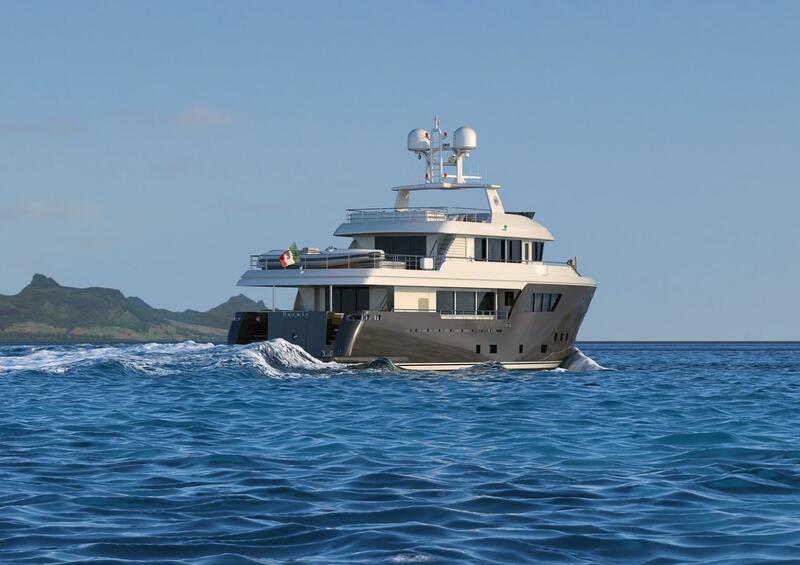 Combining quality, style, over engineering, & a family approach to business and the end result is a shipyard unlike any other. 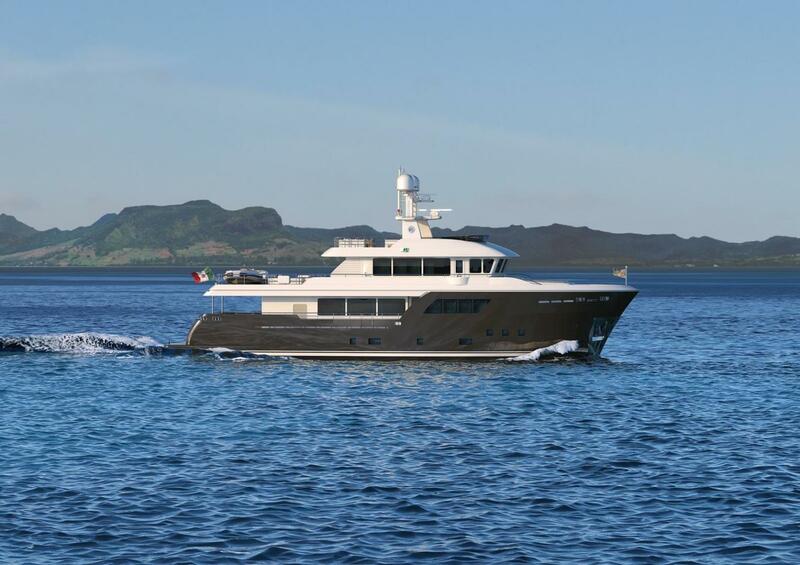 When you decide to build a yacht at Cantiere delle Marche you truly become part of the family and start on a long adventure ending with the delivery of a personalized yacht that exceeds your highest expectations. 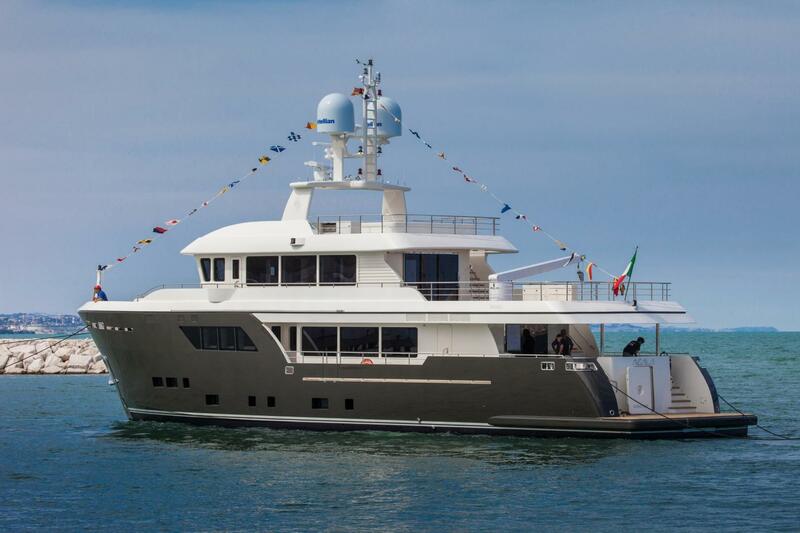 The Cantiere delle Marche 'Darwin 102' is a full displacement, steel hull, aluminum superstructure long range explorer that is purposely built to travel the world's oceans in complete comfort regardless of weather conditions. 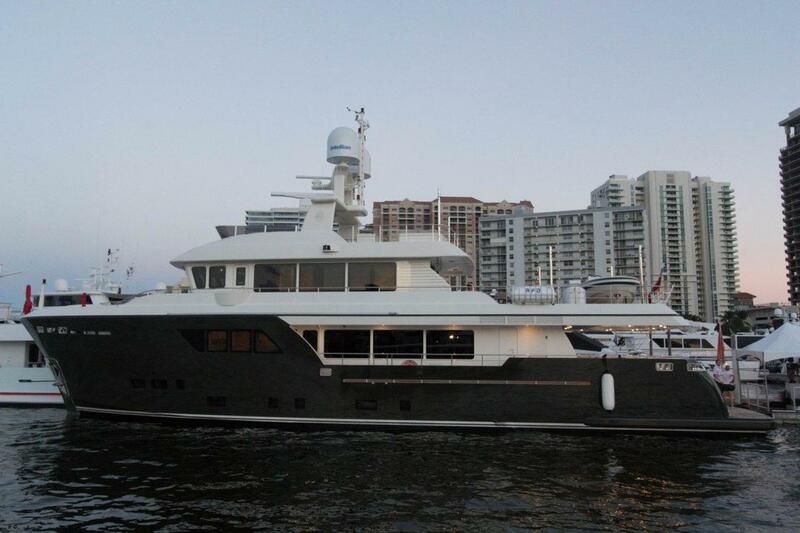 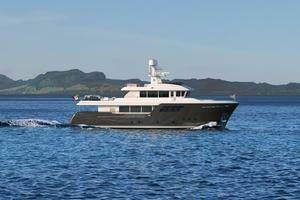 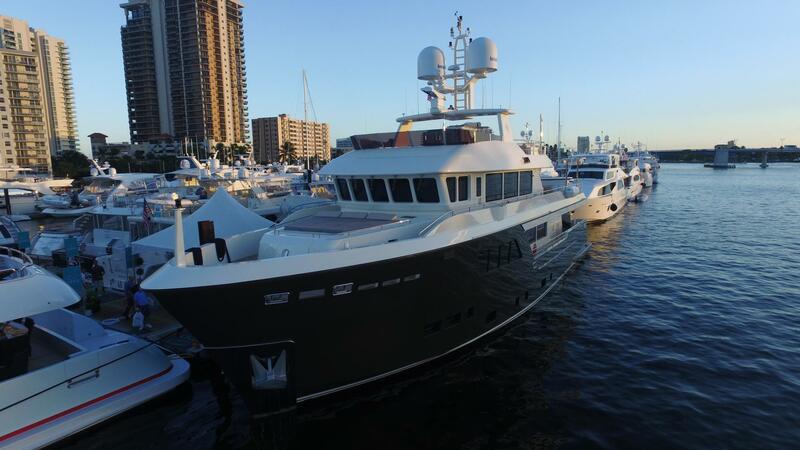 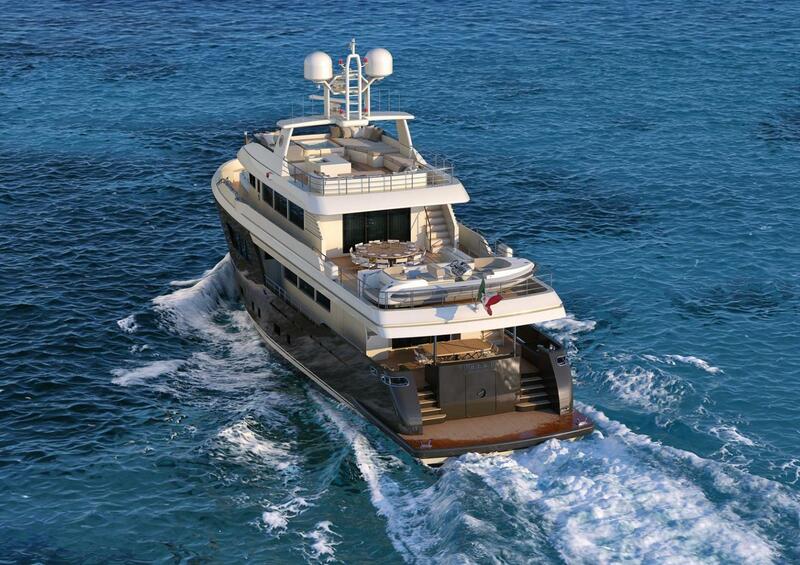 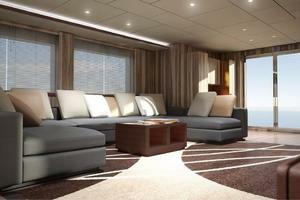 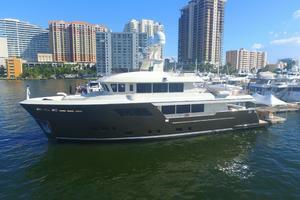 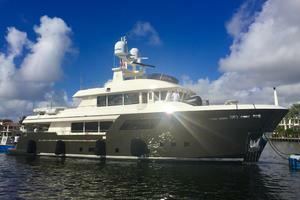 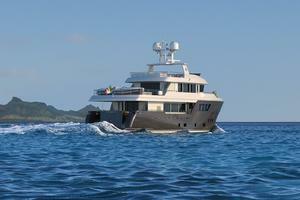 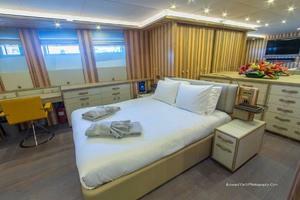 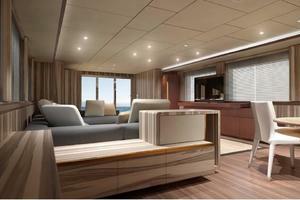 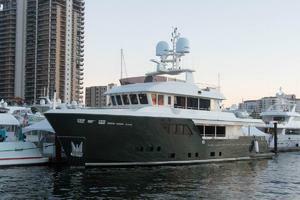 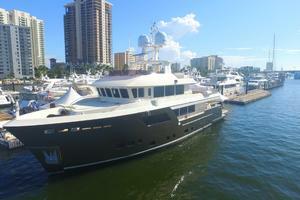 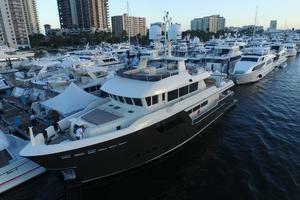 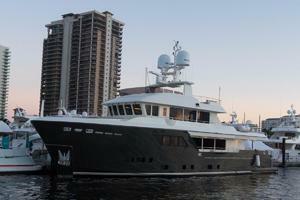 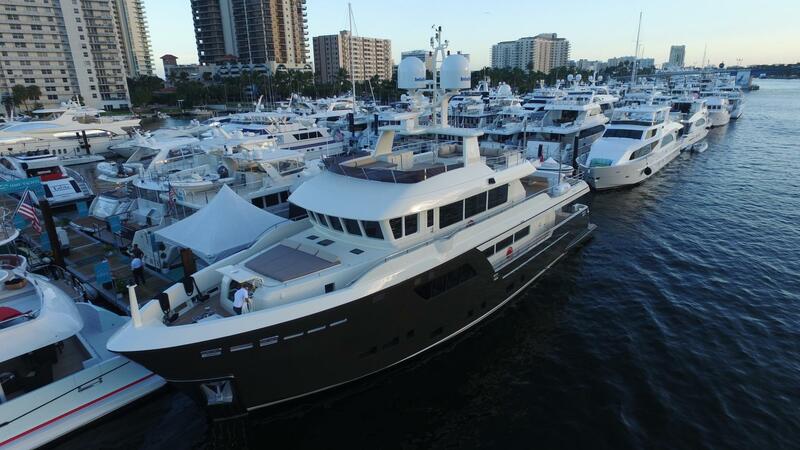 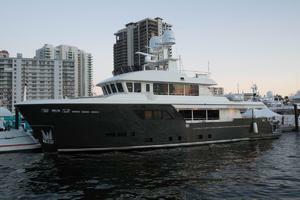 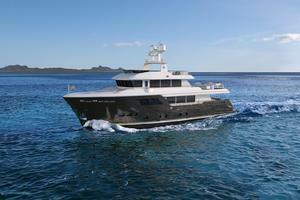 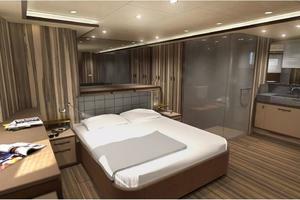 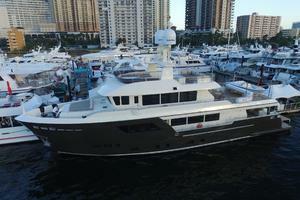 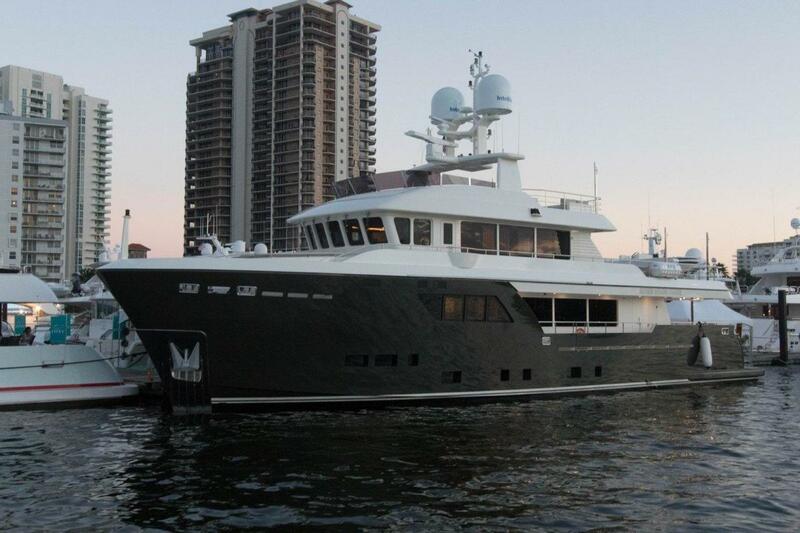 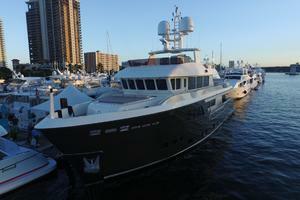 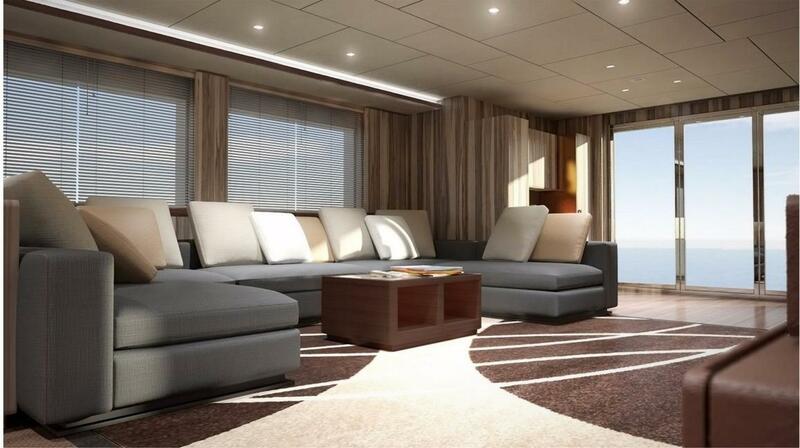 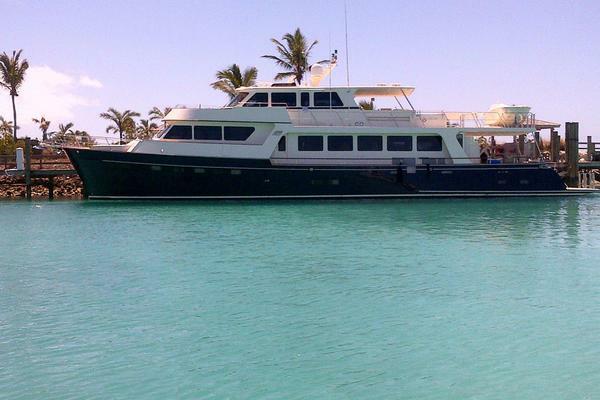 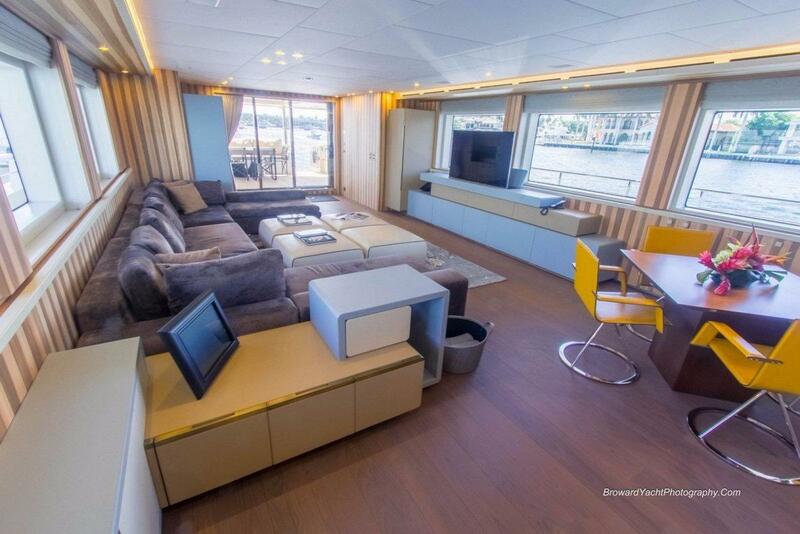 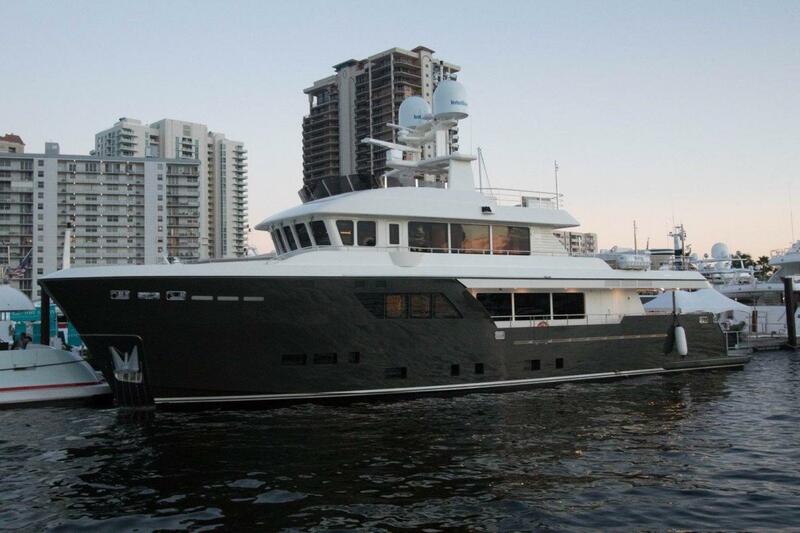 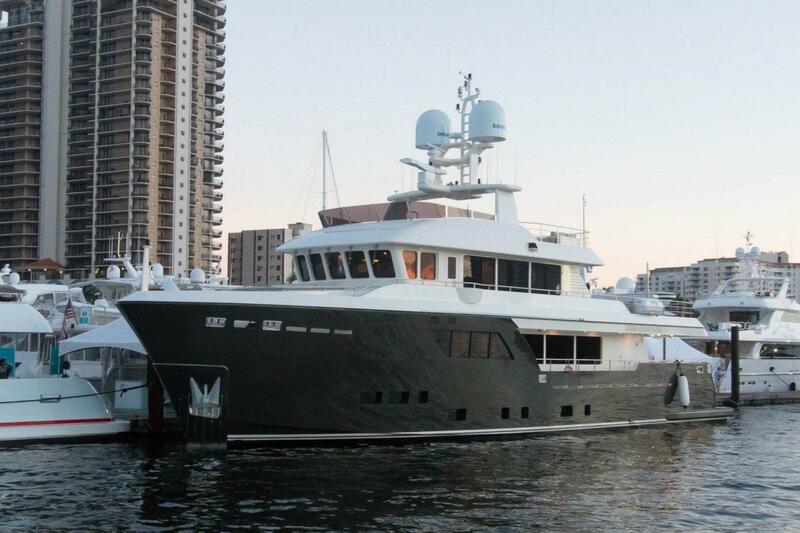 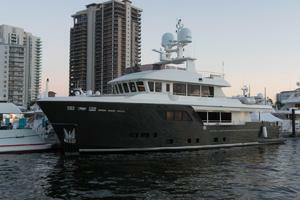 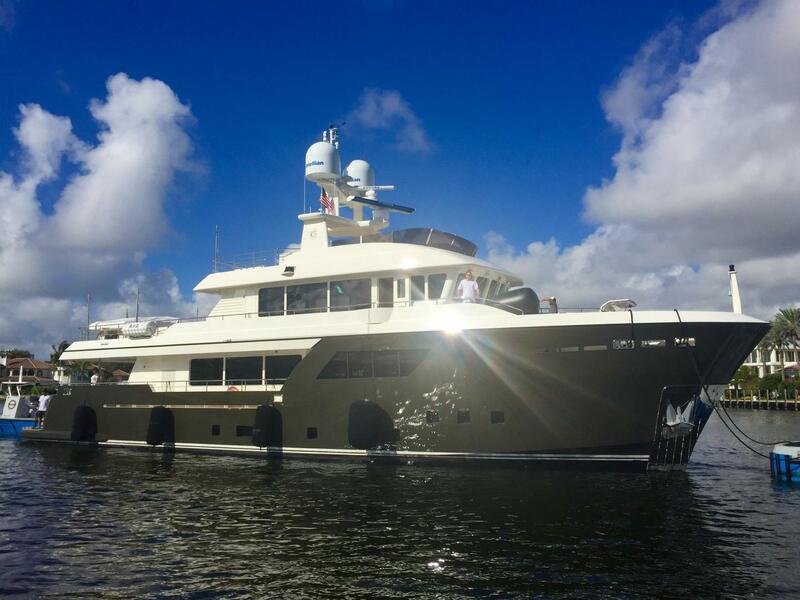 Each Darwin 102 is custom built for the individual client and can be completed in 18 months. 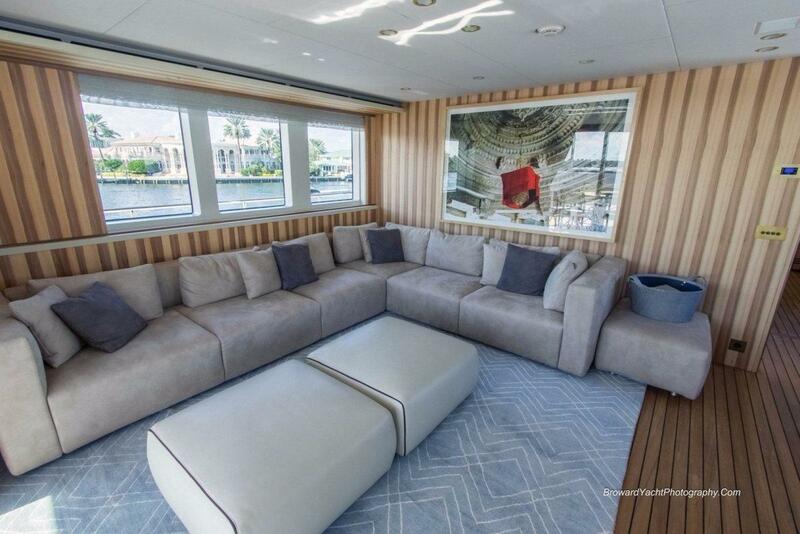 Pictures included in this brochure showcase completed 'Darwin 102s' that have been successfully delivered to existing clients. 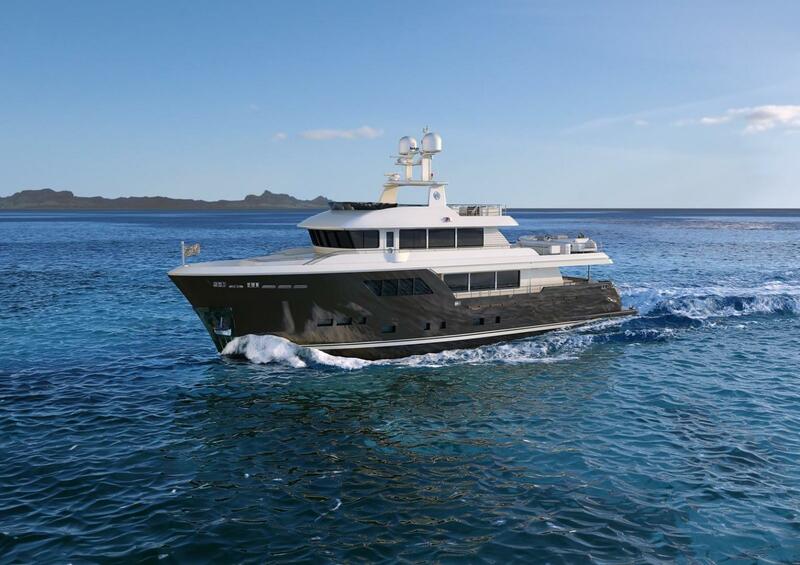 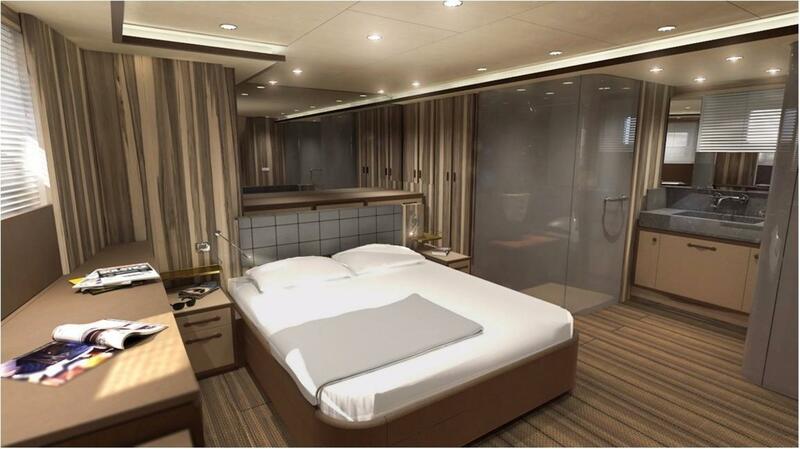 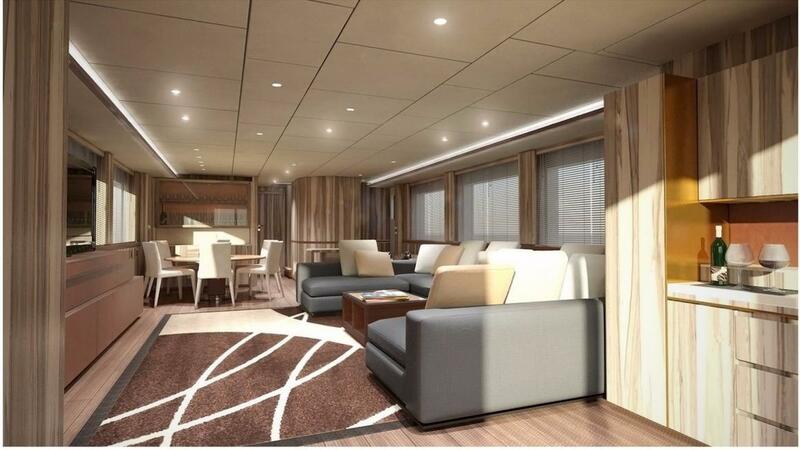 Complete customization includes general arrangement floor plans, interior layouts, decor, exterior deck spaces, dining areas, tenders, hull & superstructure color, and configuration of the lazzarrette area (ie dive center, spa, gymnasium). 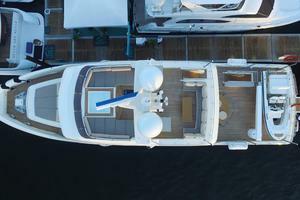 The organisational structure of the Cantiere delle Marche Shipyard is flexible and highly skilled, thanks to a team that has designed and built thousands of metres of steel and aluminium ships in leading shipyards, both in Italy and abroad. 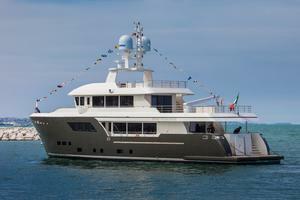 On the strength of this wealth of know-how, plus its long-term relationships with the industry's leading professionals, the Cantiere delle Marche Shipyard is capable of working alongside its clients throughout the design, development and construction of any steel or aluminium yacht, guaranteeing attentive management of each phase of the effort by teams assigned to that particular project, so as to ensure the top-flight quality and production excellence typical of all the Shipyard's vessels.